Makenzies Miracle: LA Here We Come! Hello. I saw your post on the ABR group board. I am also investigating ABR and I hope to attend the October session in Montreal. You may or may not get a lot of response from the board--I think they're a little wary of sharing their children's progress with strangers. I do know that at www.terriblepalsy.com Moo's mother posts progress videos and they are very encouraging. I just wanted to pass that on because sometimes you won't get a rsponse on specific improvements that people have seen. Have you ordered the video from ABR? It is amazing as well. 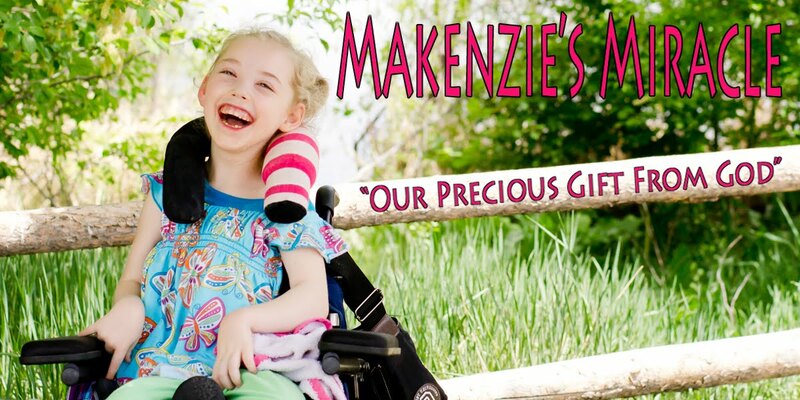 Makenzie is so beautiful and you seem to be making tremendous strides with her. Hi my name is Julie, I am Joey's mom (fighting joey). I posted on your dropshots site. Anyways, I was curious as to where in LA you are going for the neuro suit. I live in LA and Joey is starting another round of the neuro suit Aug. 4th. If it's the neuro suit you are using, I think we might be going to the same place. Anyways, my son's website is www.josephslifejourney.blogspot.com. My son had a near drowning on Jan. 16th, 2007. If you'd like to talk more, email me at jessjackjoey@yahoo.com.